Designers and manufacturers agree, today’s homeowners spend far more time sourcing – or designing – their doors, particularly the front door. For new builds, it’s usually part of the architect’s plan, and is designed as part of the home’s overall appeal. Double volume? Classic? Rustic? Contemporary? Each home style demands a specific look to complement it. 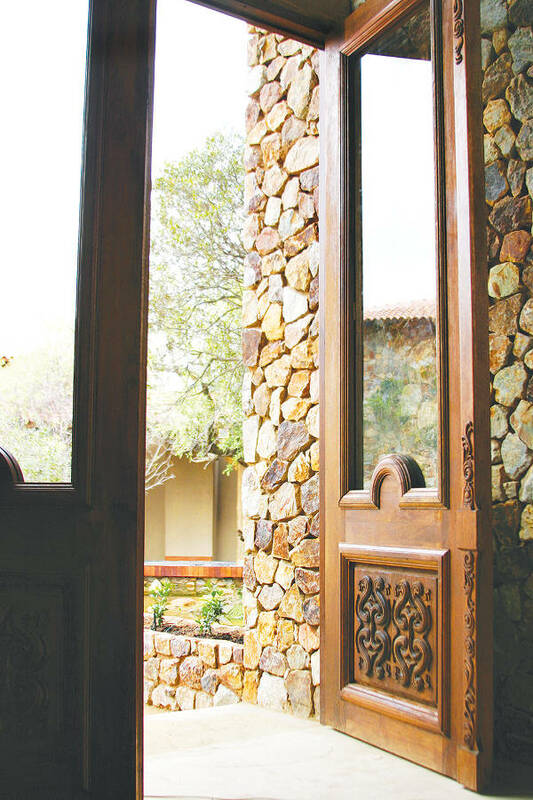 For a revamp, the installation of contemporary exterior doors can catapult a home into another era. “There are many factors to bear in mind when choosing a front door, like security, house style, and local building regulations, which may affect the level of required maintenance. 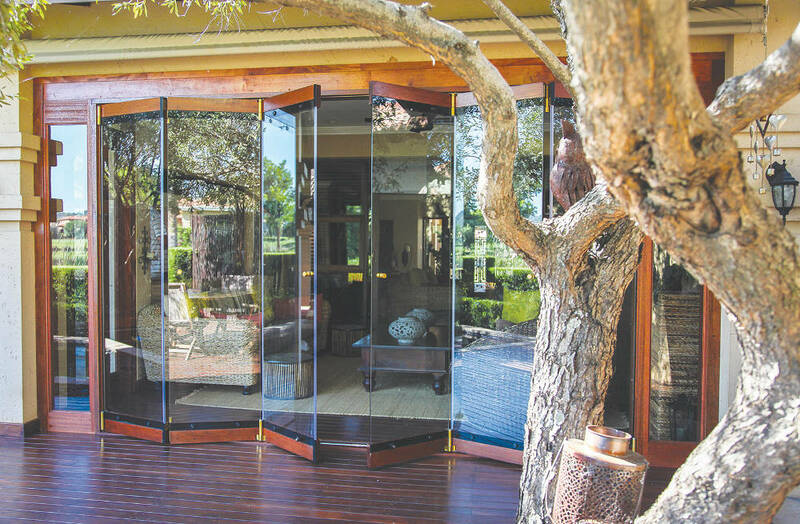 From a manufacturer’s point of view, we don’t recommend that wooden doors are exposed to full sun, especially in the Highveld where the climate is extremely dry and UV rays harsh on exterior wooden products. Front doors need the correct overhangs or overhead cover like an awning to protect them from the elements,” De Villiers says. Security is always an issue, whether it’s your front door or back. Today’s technologies allow doors to look good, while providing a fool-proof barrier. Whether it’s a sophisticated or slam-locking system, a second layer of security gate, or an impenetrable door – strong, metal doors are now popular as doors onto the road. Painted doors, too, are sought-after – glossy or matt – whether they’re standard moulded doors or plain wood – trendy dark grey, black, or a bright, look-at-me colour, can look superb. 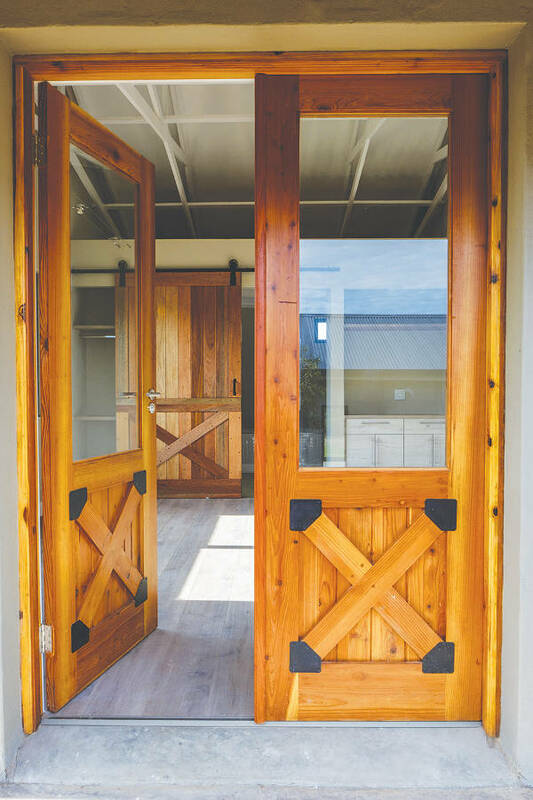 Slatted wooden doors – either vertical or horizontally placed, with or without gaps, evenly spaced or not, same-size planks or not, are also firm favourites, particularly unvarnished and allowed to age naturally. Maintenance of woodwork is always a concern, so just as unvarnished or treated floor decking lasts well, so, too, doors in a wisely chosen wood. Choosing exterior doors now, is as much a creative process as your paint colour. And as much fun. The choices are endless.